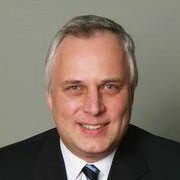 Thomas Kingissepp has been advising clients for over twenty years. His approach to making investment and strategic recommendations is planning based and focused on client needs. His clients have access to a variety of possible solutions which is consistent with his independent advice. Tom holds the following designations: Chartered Financial Analyst (CFA), Certified Financial Planner (CFP), Chartered Accountant (CA), Trusts and Estates Practitioner (TEP); and has completed the following educational programs: CICA In-Depth Tax Course (3-year post-graduate professional program) and, from the University of Toronto, a Bachelor of Commerce (specialist in Commerce and Finance, specialist in Economics and major in International Relations). His clients include individuals, businesses, and charitable organizations. Client needs, for example, may relate to protecting and building capital, drawing income, protecting against risks to capital or lifestyle, tax minimization, and philanthropic strategies. Tom draws upon his unique professional background and experience to make valuable recommendations to clients and ensures that they are effectively implemented. TJK Wealth Management is a part of TD Wealth Private Investment Advice, a division of TD Waterhouse Canada Inc. which is a subsidiary of The Toronto-Dominion Bank.